Since the 19th century the loom has become more and more industrialized and automated. In England in particular, rugs were initially produced in large numbers by machine. Over time, the production method was more and more optimized. and shortened. On the one hand less manual work was needed in the production steps and on the other hand the production time was reduced to meanwhile only approx. one hour for a whole carpet. In comparison, a handmade carpet several months, if not years in knotting. 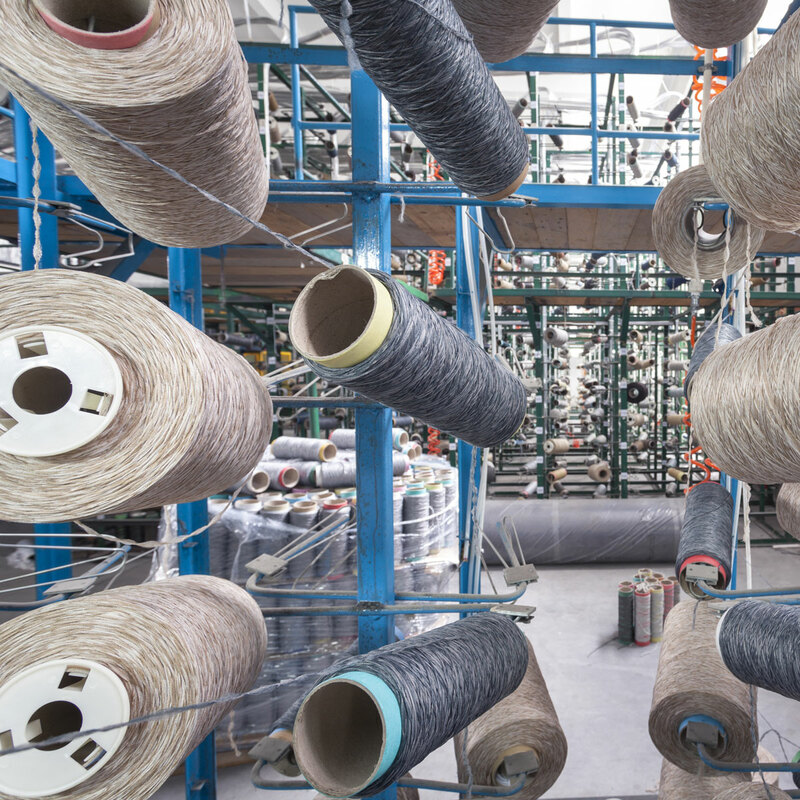 The fringes of a machine-made carpet are in most cases sewn on for purely decorative reasons. In a handmade example, fringes are the end piece of the warp thread that holds the knots together. 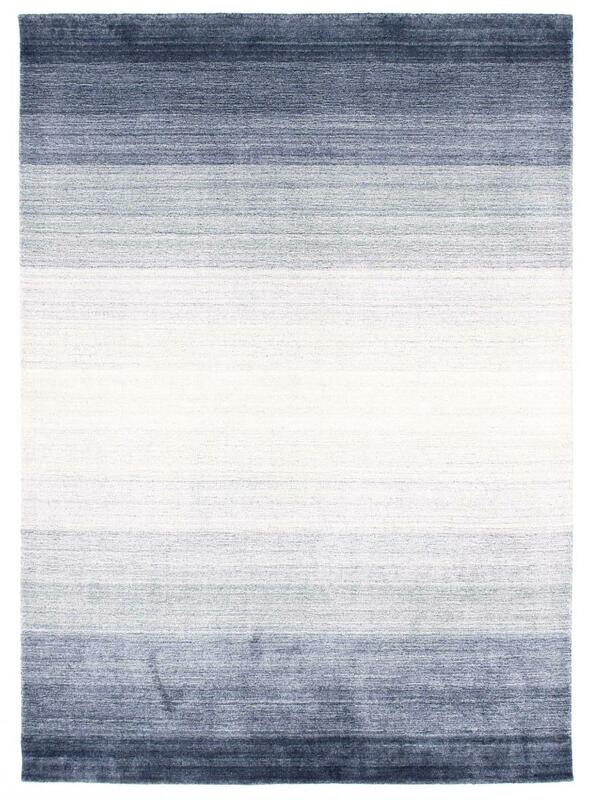 The fringes of Nain rugs for example, even show the quality level. The patterns offer another important point of difference. With industrially manufactured carpets, the pattern is usually mirrored by a software and is 1:1 symmetrical on both halves. A knotter would never be able to do this 100% accuracy by hand. He usually only sees the small details of the pattern when the pile of the final carpet is trimmed. Although these are details, they give the carpet an individual character that makes it unique and, in the case of special pieces, even guarantees an increase in value. Symmetry is an important feature to look out for. One can tell from an uneven edge and rug shape, as well as from irregularities in the knots on the back that a rug was knotted by hand. Machine-made carpets show virtually no irregularities or deviations from the norm. Durability, natural materials and attention to detail are further differentiators. If you want to invest in a high-quality hand-knotted carpet, you will not only get a piece of traditional craftsmanship steeped in history, but also a carpet made of natural materials with a longer lifespan. Although there are also machine made carpets made of sheep's wool and other natural materials, most of them are artificial, or chemical colours have been used as dyes. In addition, they do not come close to the knot density and quality of fine oriental carpets. In machine-made carpets, for example, only 8-10 colours can be combined, while there is no limit for handmade carpets. 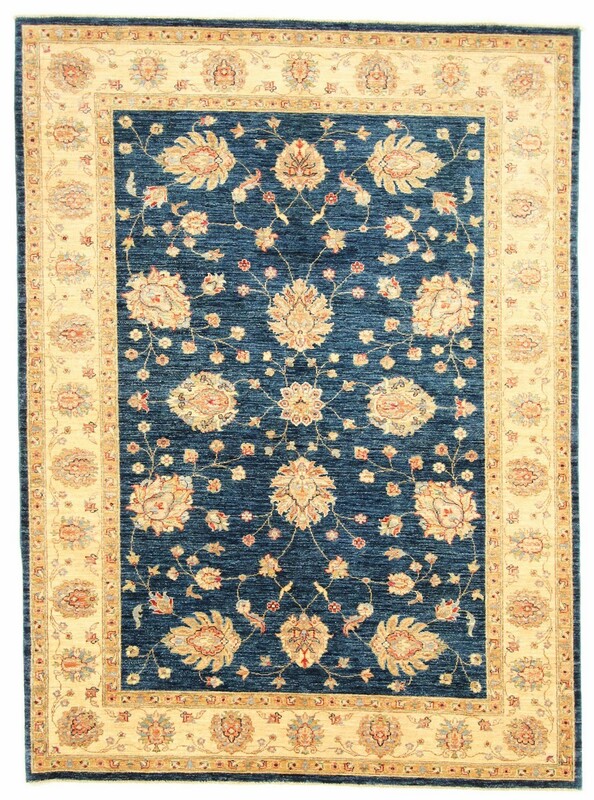 This Heriz-rug is an example of Persian rug-making. Its rustic finish testifies to its durability. 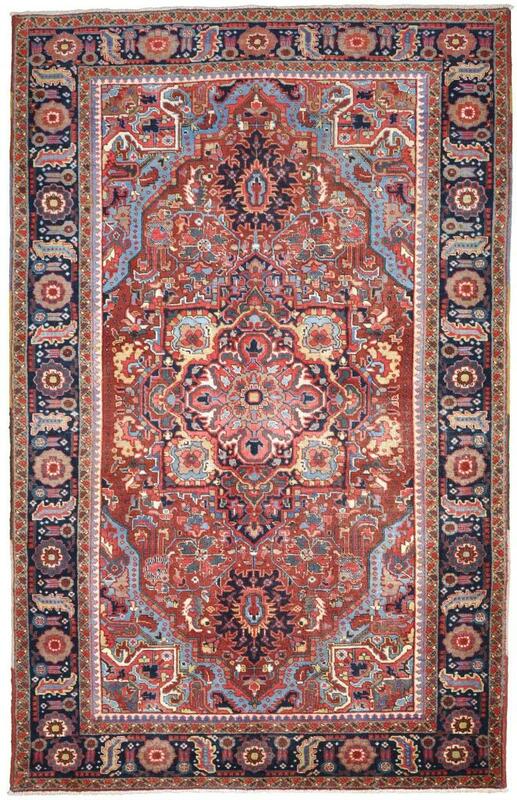 It was hand knotted in the town of Heriz, near Tabriz in northwestern Iran. The ornaments of Heriz carpets are extremely popular today and are seen as very modern. 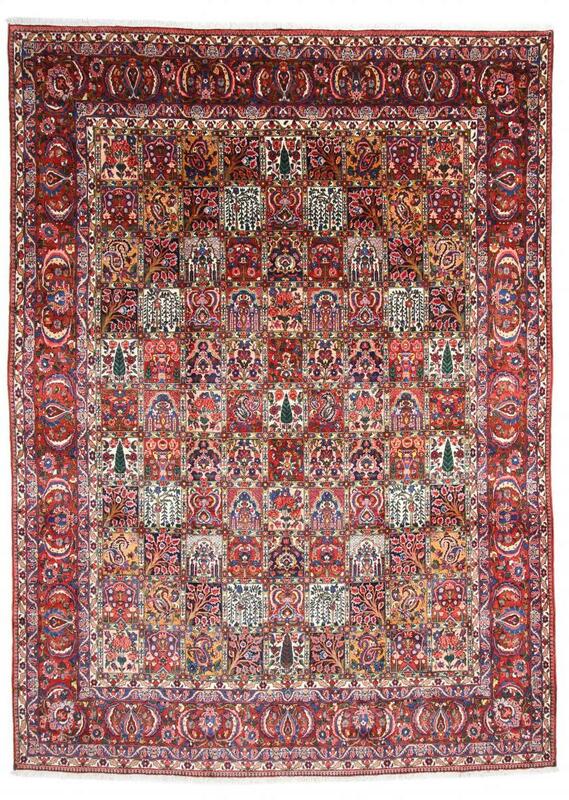 This Persian Bakhtiar was hand knotted by nomads of the Bachtiari tribe. The design of its patterns is inspired by Persian gardens. The relatively high knotting density together with the strong yarn promises a long life. 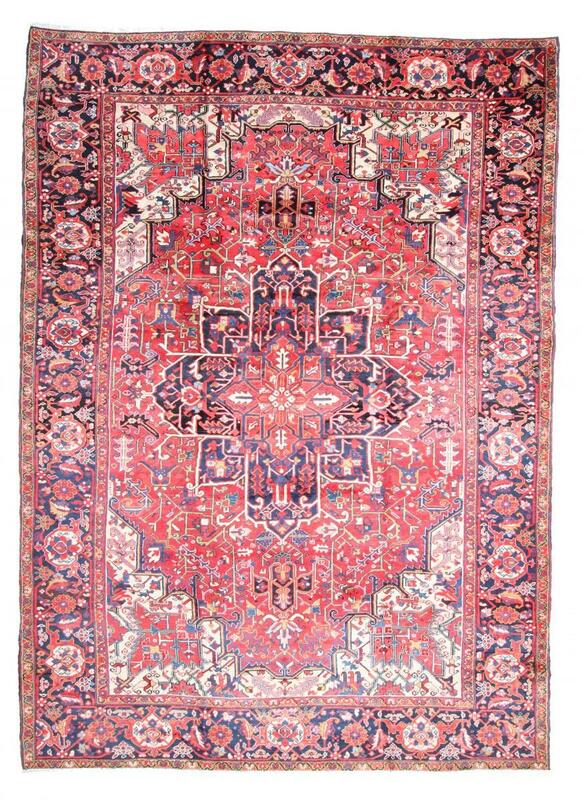 This Ziegler Farahan was hand knotted from high quality wool in Pakistan. The sheep's wool has a natural fat content, which additionally protects the carpet from everyday stresses. The special treatment method of these carpets achieves a beautiful, modern vintage patina. The carpet is based on traditional Persian carpets and together with modern design elements it has been brought into modern times. This Gabbeh rug was hand-knotted from hand-spun sheep's wool by Ghasghai nomads in the province of Fars in southern Persia. 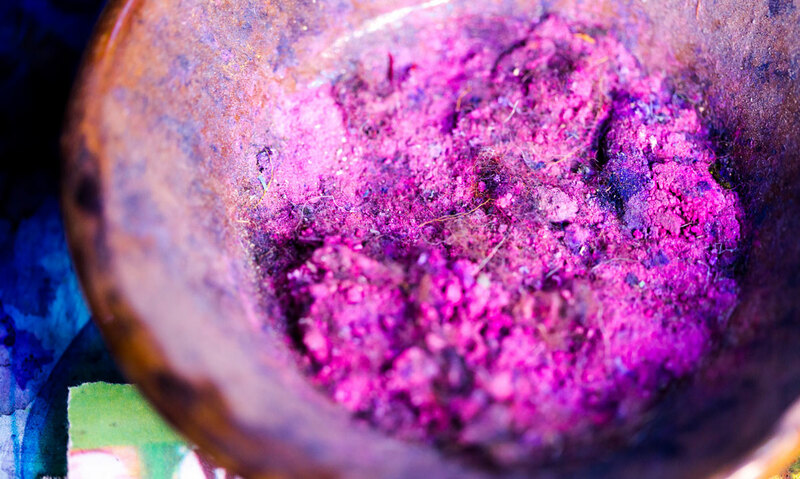 Only natural plant dyes are used to dye the wool. Thus it is harmless for almost all rooms.